Time flies! It's already May which means summer is around the corner. That's why I decided to share with you my favourite trends for it. If you were following any show from SS 17 you could see that there was so much going on and I love it! Forget about less is more, because this season it's all about more is more. It's more than ever important to express yourself and to be who you really are. It makes me so so sad when I see that even then people decide to stay uniformed and to blindly follow everything that's on trend. On the other hand, I'm so happy that fashion industry is pushing their limits and encouraging differences. I'm loving these trends for summer as they are very chic and feminine and easy to style. I think three of four are obvious trends for me, but one of them is going to surprise you because it's not the usual type of clothes I would wear. You could totally see that this was coming. 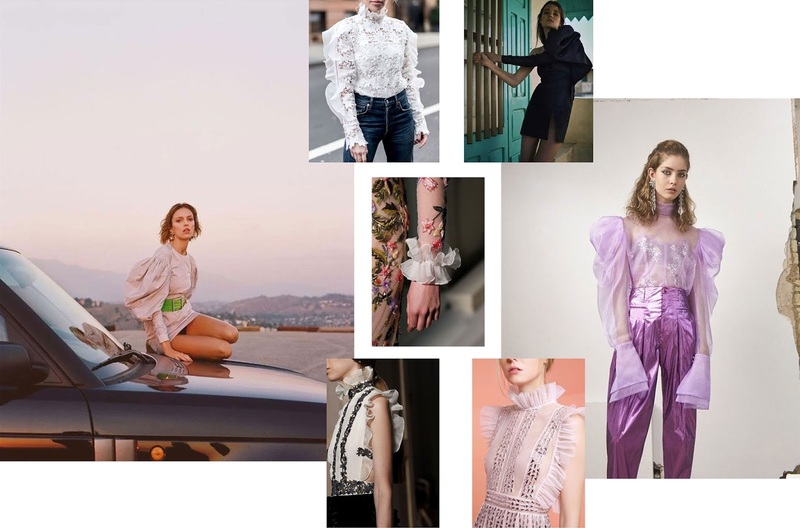 My first and obvious trend are statement sleeves and ruffles! It's all about adding volume to your arms. From bell sleeves to statement sleeves and ruffles. I'm crazy about them, not only on sleeves, but on dresses and around neck. This is my trend of the year. It makes every outfit stand out a bit more and they are so easy to style. When you are wearing it you don't have to think to much, you barely need any accessory when you are rocking this trend. Give them chance and you are going to love them! I thought on this trend when I said it's not the most typical one for me. This year thing with logos exploded! You could see Gucci and Dior shirts everywhere. I love that they are so effortless, but still chic. I think they are awesome for everyday casual outfits, when you don't want to think too much about what you want to wear. I love how thing with logos turned out in something else with Dior SS17 show. As always they pushed things on another level and we got the cutest dresses with Dior logos on, with lots of see through and embroidery on it and the shoes that everyone is raving about which are constantly sold out everywhere. For someone this could be too much, but I really like it. Let's forget about Dior on a second, to mention all the t-shirts with cute quotes. Not just t-shirts but jackets, jeans and bags with slogans on it. I think they add a cool vibe to every outfit and as I said above they are perfect for chilled and everyday outfits. I've totally fallen with this trend. I love that it can be so feminine. There are so many different styles with it, from super chic, boho to modern and urban look. Few years before you could hardly find some good pieces that have embroidery on it and now you can find them literally everywhere. You can wear them on your shoes, bag or bikini. Just think about the piece and you will find it. This season it's all about reinvention of the classics, as well with this one. There is so much variations with stripes. There are usual ones (black&white, blue&white) as well with the statement ones in lots of colors. You can wear them just as a top, pants, dress or jumpsuit. I told you so, there is so much going on! They are such a classics and they are so easy to style. You can wear them literally with everything. The only thing you should pay more attention is when you are mixing it prints. I love all the pieces here! I mean those Dior shoes have had me drooling for a long time! And the striped tops! Tdf! Amazing pics and pieces.This fashion trend is too cool. Thanx for the sharing with us. Ooh I'm definitely looking forward to summer after reading this, the photos you found are gorgeous! 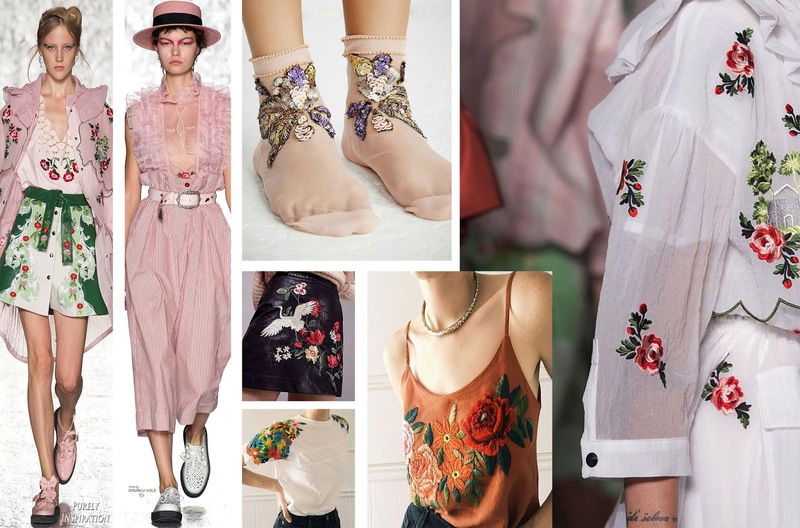 My favourite is the embroidery trend - I've always loved it and can't wait to see more of it coming!!! Girl you have definitely covered all the trends in 2017. I'm such a big fan of embroidered and I love every thing embroidered, from jackets, to pants, to shoes, to bags! I love all your top picks too!!! One thing i'm lack of in my closet for this season is those crazy sleeves! I totally need to get some for myself! These are the best 4 trends for summer everyone should try! Some of them I've actually seen carried from the spring, but I'm not even mad about it. Like the statement sleeves and embroidery, I've seen them all season long. Also I agree with you, I'm not a big logo/slogan wearer, it's not my usual style. But so many girls have been able to pull it off and I must say the style looks amazing on them and I'm sure is here to stay! I have to say my favourite trend is stripes this season. It's always flattering because it enlongates the body and makes for a really nice silhouette in my opinion! I've been really aware of that logo trend as well, especially with brand names as of late - it seems like showcasing your designer goods have been gaining a bigger influence on bloggers lately ! What a cool round up post about everything that's going on in the fashion world!! I love all these trends! I am striped obsessed and I absolutely adore ruffles and statement sleeves. And love those Dior shoes, they are on my wish list. I am thinking to add more embroidery pieces. I have a pair of mules and love them. Loving this trend report. I finally got a Bell sleeve too but I need something with ruffles! And pretty much everything else in this list because I'm lacking in the area of being on trend. Thanks for sharing!! Love this kind of posts. I'm choosing the ruffles . The Dior shoes hehe and the stripes and least but don't last the embroidery. Can't wait to rock the Summer! I agree, this season it's all about reinveintion of the classics! Love the new trends but my favorite is definitely the statement sleeves. Looks like nowadays: the biggest the sleeves, the better! and I adore that, because it's a great way to add visual interest to any look and take it to the next level. I am also a big fan of embroidery. It's feminine and chic at the same time. I really want that these trends stay here for a while because I'm completely obsessed with all of them! YAS! 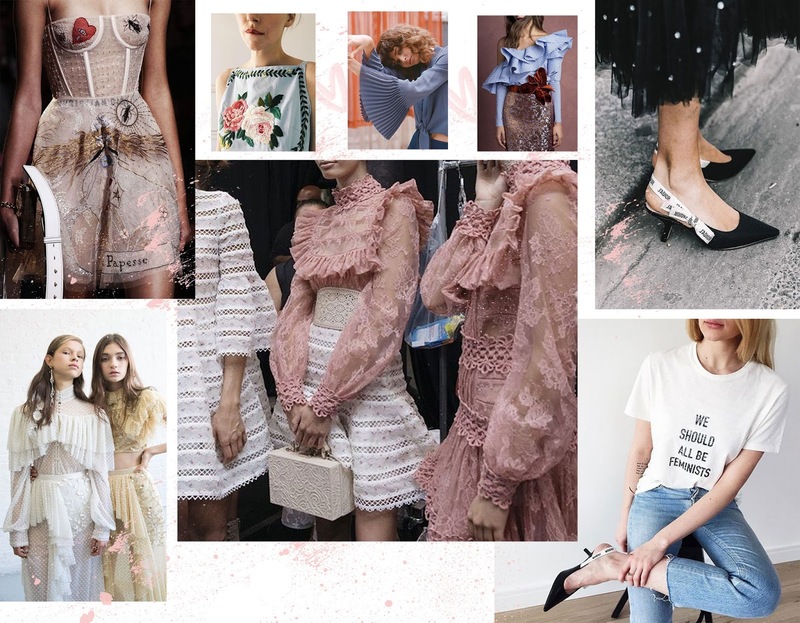 I love all of these trends but more importantly, I'm really drawn to pieces that are visually interesting and right now that means more is more for me! I was browsing on ASOS the other night and they have a category for when you want to be EXRA and I was sitting there thinking....UM always. LOL I love a logo anything right now as well. I feel like it's a perfect way to dress down and still look put together! Loved all the inspiration on your post! Totally feel like shopping now! I'm with you on all four of these trends, but the ones I actually apply to myself are stripes, logos and embroidery. First of all, I've always loved stripes, trending or not. So I wear them no matter what, just like you said in the beginning of this post. Logos have also always had a soft spot in my closet and my wardrobe is quite full of them. A new favorite is embroidery which really has grown on me during the past month and now I own all kinds of things in denim that are embroidered and a few shirts too. :) Great trends for the summer, all of them! Those trends are so on point and I particularly love the slogan and embroidered trend because one is so street chic and the other is just plain CHIC. 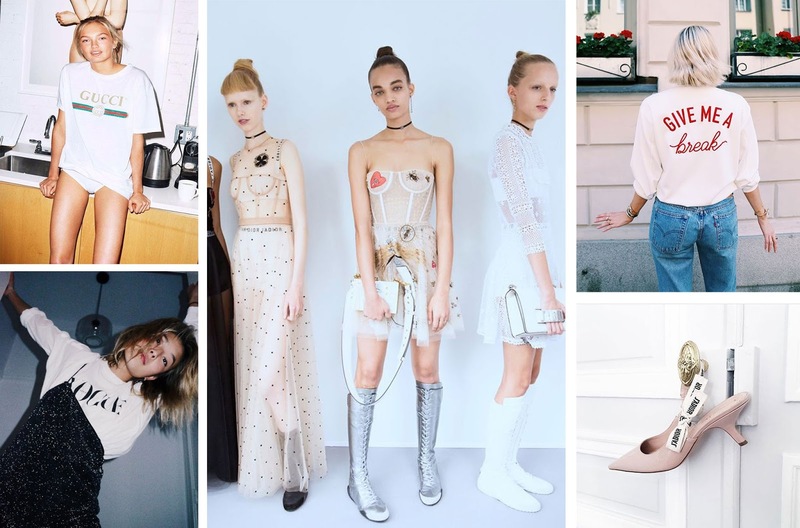 These inspo images are just so perfect too!! All 4 trends are so on point and so good. I can totally see myself wearing all 4 trends (if I haven't already) The only thing left is embroidered, I have yet to master the styling for them yet. I need to explore that more. Thanks for the great inspo images for ideas. I'm not sure about the logos trend but I'm all over the statement sleeves, embroidery and stripes! 90% of my closet has embroidery right now so I'll have to say that's my favorite. Love your picks! 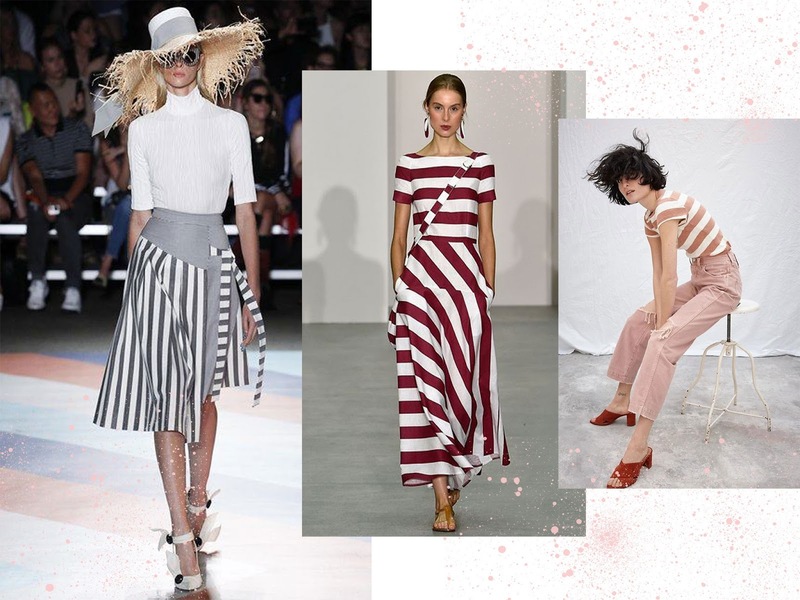 I am absolutely in love with the ruffles, embroidery and stripes trend but the logos is not quite my cup of tea. I have been picking up some embroidery stuffs in the past week and after reading your post I want to add more!